This award winning home has a towering staircase that gives all those who enter a unique and majestic entrance. 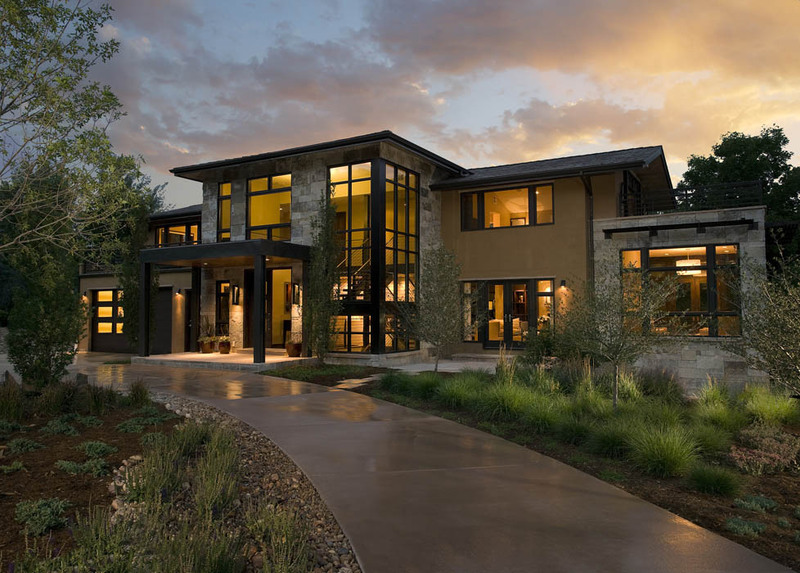 Mosaic Architects creates thoughtfully designed spaces, specializing in fine custom homes and hospitality projects. Our designs are sophisticated and elegant with an emphasis on human scale and natural materials. Each of our projects is unique and results in a varied architectural style, highlighting the individual requirements of the project and the client. Our expertise and experience will lead you through the design, permitting and construction process with ease. Our services typically include site planning, architecture, interior design, structural engineering and sustainable design. We work closely with the landscape architect to ensure a smooth transition between the indoors and the outdoors, marrying the structure to the land. Our services can also include interior design of all the fixed finishes which results in a seamless design from inside to out. We can also select all the furniture and accessories for a ready-to-move-in space. We approach every project with a fresh mindset, not to miss opportunities coming from the site or the program. Whether your new project will be in the mountains, at the beach, in the desert, surrounded by acres of forest or urban infill, we design according to the level of sophistication and quality you envision. Our designs relate to the surrounding landscape, highlighting special site features and views. We will be your liaison to the contractor and other consultants involved in designing and building your project to ensure that your project will be built within the established budget and schedule.